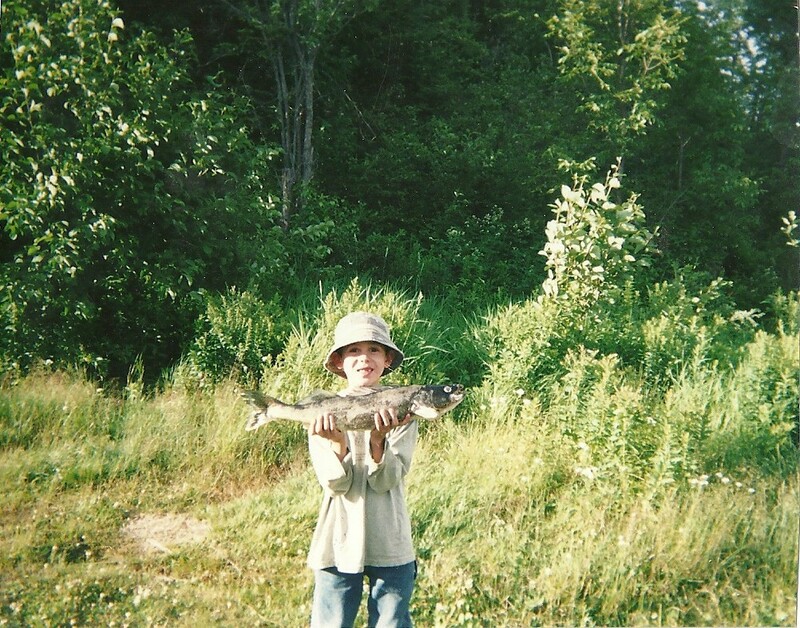 This catch goes back at least ten years ago, we were up north in verendrye reserve in quebec on lake Goatanaga. It was a hot and sunny day. Most anglers would say not best conditions to catch walleye. As a matter of fact we had been trying all our best spots for walleye and we were not having the best fishing day of our life. So we anchored the boat right after some rapids and we started casting our lines in pits and letting our liines drift in current. We had been trying this for about an hour with no bites or tugs. My little 4 year old brother was sleeping on the boat, then he decides to wake up and says: i'm gonna cast a bit..so he casts in less than 4 feet of water and were all thinking: poor kid, he can't cast further than 10 feet. Than right on that first cast he catches this 6 pound walleye. than he says ok i'm done for the day.. i'm going back to bed. Now what we learned from this is that walleye don't always just hang at the deep bottom of lakes but also hang out in shallow waters to feed, even in mid day all year round. So if your not catching fish in your spots where you usually do mabye you just have to think where the fish might have gone to feed like in shallow water right next the boat. Here is the little punk (Philippe) with his catch.